Batman #50 is one of the most anticipated comic books of all time. Avid fans and comic book collectors speculated and pre-ordered a couple of copies and even ordered retailer exclusive variants as a commemorative to the unexpected wedding. There were tons of promotional materials and local comic book stores even paid shipping costs for the wedding invitation checklists. 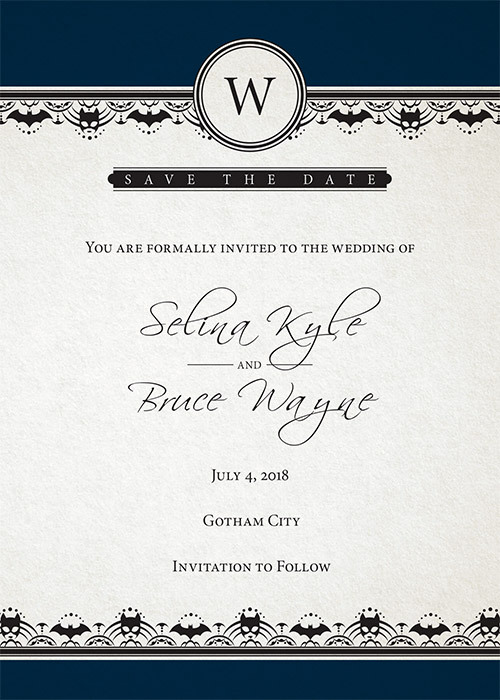 The event was further promoted when DC Comics published a 5-issue prelude to the wedding with each book priced at $3.99. DC also announced an incredible line-up of guest-artists for Batman #50 which, as fans, only means that Batman #50 will be a very special issue. 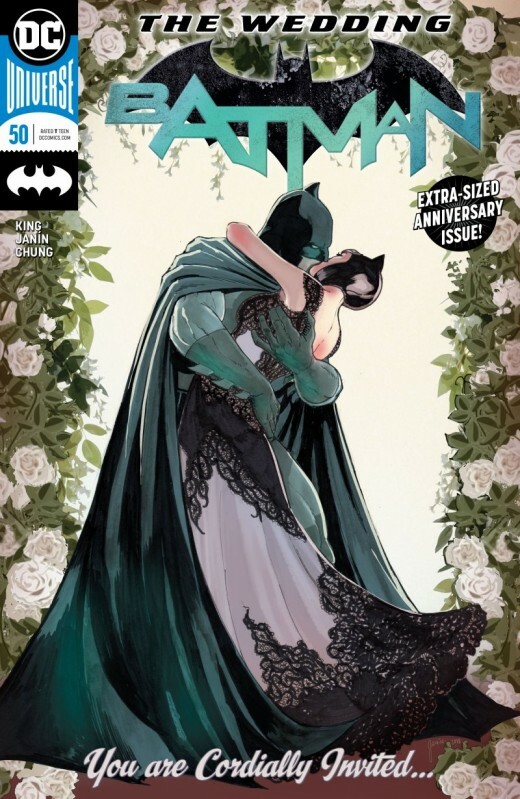 The so-called “wedding” issue was heavily marketed by DC Comics to suggest that something wonderful will happen in the issue. However, the only thing remarkable that happened in Batman #50 is the father-and-son moment between Bruce and Alfred. Yes, the marriage didn’t happen and that is the biggest disappointment as an overly obsessed Batman fan. To be fair, the story was well-written but fans were lead to believe that the wedding will happen in issue #50. It also didn’t help that one of the biggest developments in the story was spoiled by New York Times in their article which was posted two days before the book’s release. But to ease things up, Tom King claims that he has 50 more issues to paint the entire picture. 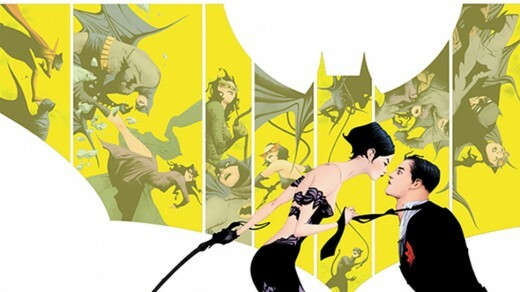 Before going into details, I would like to point out that the wedding between Batman and Catwoman will definitely happen. In Batman Annual #2, Tom King wrote a story about the death of Bruce Wayne. And in that story, he was married to Selina and that they have a daughter named Helena Wayne. Considering that the Annual and issue #50 are both written by Tom King, it is safe to assume that the marriage is indeed inevitable. The disappointing part about Batman #50 is how it was heavily promoted by DC Comics. As mentioned, the marriage is bound to happen. Accepting that it didn’t happen in issue #50 is easy. It was the promotional materials and the treatment it was given that left a bitter taste in everyone’s mouth. To set as an example, the prelude to the wedding issues. DC Comics overwhelmed the fans with a five-issue story which ships weekly. To make matters worse, the five-issue story arc has interlocking covers which compliment the whole “protect the wedding from these villains” vibe. It was such a great idea and the stories were likewise well-written that fans were really lead to believe that we can expect something great in Batman #50. From there, we get to see that all of these promotional items and tie-ins were strategically planned by DC Comics. Worst, knowing that Tom King has a 100-issue story plan, it seems doubtful that DC Comics didn’t know that the marriage wasn’t going to happen in issue #50. Hence, the book should not have been promoted to sway the fans and in convincing everyone to buy the books. Publishers like DC Comics hype up a book to boost sales. Granted that they had the intention to boost sales for the Batman title, it was done poorly and deceivingly. Batman #50 has a lot of good elements to it. However, all those good parts were overshadowed by the disappointments that stem from DC’s poor marketing and false advertisement. The marriage is bound to happen. We’ve seen that in Batman Annual #2. But as an avid Batman fan, I was really disappointed with how they managed people’s expectations. Surely, fans wouldn’t expect anything if the issue wasn’t hyped to something that it is not. Nonetheless, it is what it is, I am excited to find out what Tom King has under his sleeves. Batman and The Flash find THE WATCHMEN? BATMAN #9 starts ‘I Am Suicide’ arc this October!